The most popular email list building advice is to entice potential subscribers with a free download. But once you’ve figured out what your freebie is going to be and have your PDF all ready, you’re stuck trying to figure out where to upload and link your file so that your subscribers will get it automatically (and no one else will be able to find it without subscribing). Worse still, when you start reading about MailChimp’s options, you get confused about what you need and how to set it up. But never fear, MailChimp makes it easy (and free) to give a download to your subscribers (and only your confirmed subscribers!). But first, let’s make sure your freebie is ready. Click here for a few reminders to keep in mind while preparing your freebie. 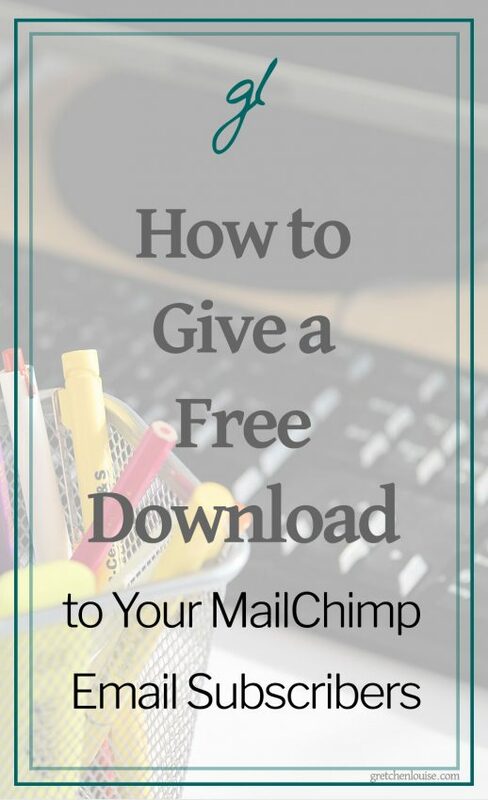 Now that you have your free download or printable all ready, it’s time to decide at what point you are going to give each new email subscriber their freebie. An Automation sends an email based on a trigger–i.e. a user subscribing to an email list or joining a group. 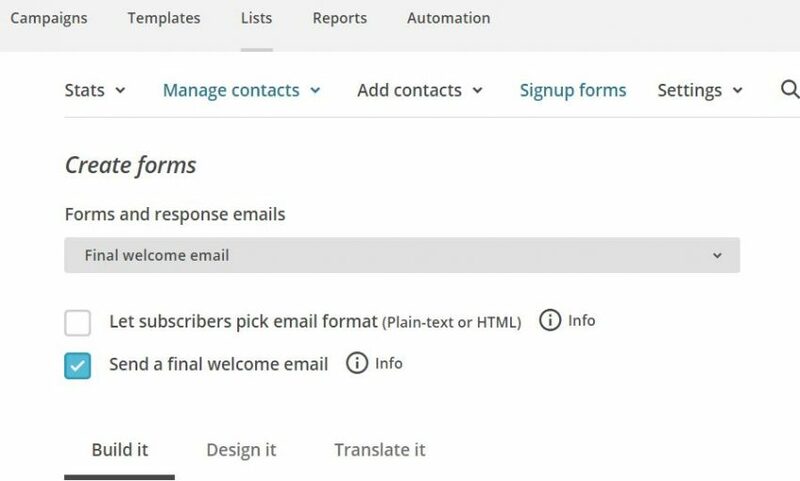 Using an Automation, you can create a completely custom email that is sent immediately upon subscription. 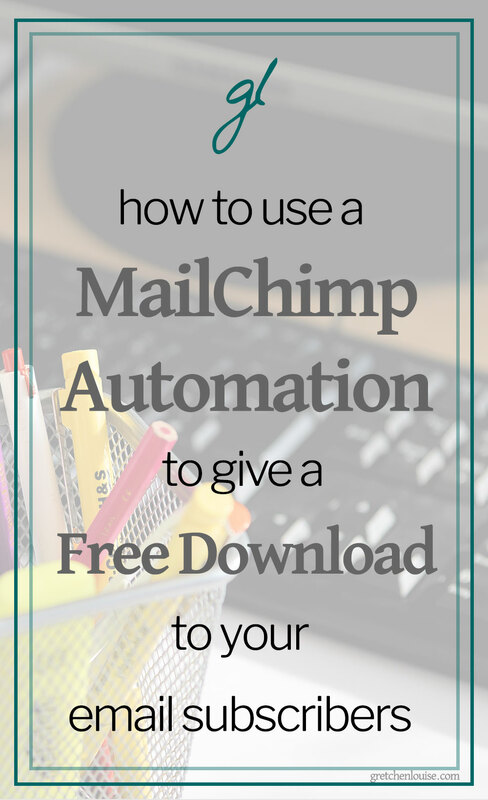 Now that MailChimp allows free accounts to use Automation, an Automation is the only method I use and recommend for giving a free download to your subscribers. If you turn it on, the Final Welcome Email will be delivered to their inbox as soon as they click the confirmation link–like an Automation. Unlike an Automation, you have little control over the layout of the Final Welcome Email. Due to the fact that you can’t control the entire contents of the Final Welcome Email, I recommend an Automation for a more personal approach that is more likely to land in inboxes. The Confirmation Thank You Page is the page your subscribers will be taken to the moment they click the link to confirm their subscription. The download link can be included in the MailChimp Thank You Page or you can redirect subscribers directly to the download link. However, they cannot easily get back to this link. So if they don’t download the freebie right then, they won’t be able to access it again later. Even if you do include the link here, consider using an Automation or Final Welcome Email to send them the download link again for later use. My recommendation is that you use the Confirmation Thank You Page to tell your subscribers to go look in their inbox for the free download. Explain that if the don’t see it, they should check their Gmail “Promotions” Tab or their Spam folder. Considering giving them the sending address and subject line to look for. I am in the process of updating this post! Stay tuned for more explanation of each step and screenshots. 1. Login to MailChimp and click Automation. Go straight to https://us6.admin.mailchimp.com/automations/explore/ or click “Automation” in the top menu bar. 3. Click “Add Automation” button under “Welcome Message”. Hover over the current/automatic content and click the “Edit” button. The “Edit Your Content” window will pop up. Type something like “Click here to download your free printable” then highlight the text you’ve just typed. With your text highlighted, click the “Link” button. 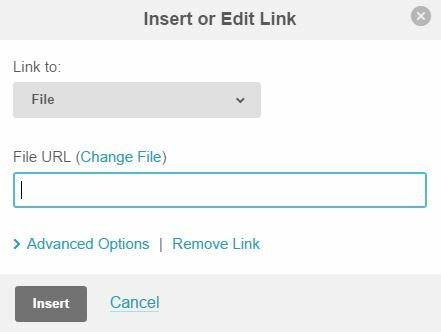 Choose “File” from the drop-down menu if you have a file to upload to MailChimp. Upload your file (or select it from the list if you’ve previously uploaded it to the MailChimp File Manager). Tip: You may also choose “Web address” from the “Link to” drop-down if you need to link to a very large file, like a podcast or audio file. Just be sure to use a tool like Dropbox rather than uploading the file to your own site where it could easily be found via Google. Zip the file(s) if necessary to compress file size. Use Dropbox to share larger files. (That link is my referral link and will get you bonus Dropbox space!) Change the 0 at the end of your share link to a 1 to force download rather than Dropbox display. Once you’ve returned to the “Insert or Edit Link” window, click “Insert” to insert the link right into the text you’d highlighted. Test your signup process with an additional email address. There’s no better way to spot snags in your sign-up process by experiencing it yourself. Use an extra email address or your spouse’s email address to test your signup form process from beginning to end. Click the confirmation links, download your freebie, and print it. Reply to yourself and see what replies from your subscribers will look like. Now, that wasn’t so hard, was it? And it was even free! Prefer to use the Final Welcome Email? Be sure “Send a final welcome email” is checked. Prefer to use the Confirmation Thank You Page? Follow MailChimp’s directions on how to Host Your Own “Thank You” Page, but choose “Confirmation thank you page” from the drop-down. At that point, you can include the download link on the MailChimp thank you page or redirect subscribers to the download link immediately by entering it in the box to “send subscribers to another URL”. Want to make sure existing subscribers can grab the freebie? Place the freebie link in the “Update Profile Form” or redirect to the freebie in “Update Profile Thank You Page”. 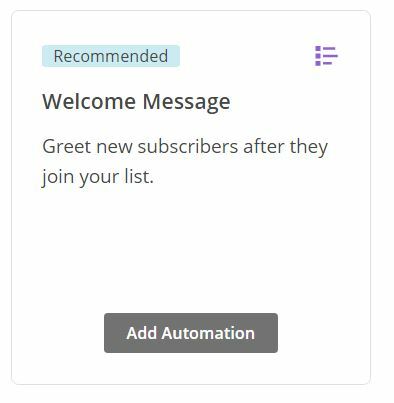 Then, when an existing subscriber enters their email address in the subscription form, they will get a message saying that they are already subscribed but can update their subscription preferences. They will get a “Profile Update Email” (that you can’t edit) with a link to click to update their subscription. Once they click that link, they will see the (editable) “Update Profile Form” where you can include the freebie link. Need more than one freebie? Use Groups + Automations to trigger a new automation each time someone joins a group. I’d love it if you’d comment and share what your freebie is! And if you’re stuck on ideas, maybe you’ll find one in the comments. Want more MailChimp tips? Visit my Ultimate Guide to Newsletters & Email Lists. And don’t forget to check out the comparison of MailChimp, Mad Mimi, and ConvertKit. Does it only work for PDF files? What if I want to give a free SVG file? As long as MailChimp will allow you to upload an SVG file–or a zipped SVG file–it will work! Otherwise, you might need to use the Dropbox method. Thanks for much for this, I have done all your steps for upload the link to my Meditation mp3 file. I have tested it as a new subscriber but I cant seem to see how they would then be able to download the mp3 file rather than it just being on a web page. Is there anyway to do this? Hello Emily! To force a download, I’d use Dropbox, and change the end of the file as explained within the post so that it downloads rather than opening in Dropbox. That’s the best way to force a download. Hope that helps! Thank you. Love this article thank you! What if I want to have a library of free things linked on my site available to people who sign up? In that case–unless you are using WooCommerce or a membership sort of plugin–you’d want to have the library login/access information in the welcome email. Does that make sense? This was super helpful. Thank you for sharing. Finally got up the guts to start my blog this year! Hi! I’ve been trying to follow the directions here for Automation, but the directions don’t match what’s on my screen. I”m not sure if it really matters., but when I follow the directions on my screen, it leads me into creating a campaign which seems much more time consuming. All I want to do is link my opt-in sign up form on my squarespace website to my free audio file uploaded into Mailchimp, but the file seems to be too large. It’s 10 MB, so I zipped it, but it still won’t upload. It seems to have gotten stuck at 50%. Any ideas? I am stuck. Hello Carolyn, an “ongoing campaign” is actually the new way that MailChimp refers to automations. I’m sorry–I need to update the post with the new directions! For a file that size, I’d use Dropbox, and change the end number at the end of the share link from 0 to 1 like I outline in the post. I hope that helps! This really helped me! Thanks for sharing! Seriously, thank you for this! I was so confused how to do this! I think Mailchimp updated their site since you created this, but you including that link to the automation part was so HELPFUL!! Thanks! Thank you so much for the guidance. I’ve been trying to figure this out. This article was so helpful! Thanks for covering all of the important elements of setting up freebies. I can’t wait to use your tutorial to set up my next post. Thanks! I am very interested to know how to add a different freebie to different pages or blog posts, so the freebie that the subscriber signs up for is useful to them because they have obviously just read the article on that thing. e.g. a cheat sheet detailing the tips and tricks outlined in the post for easy printing for post A; a free webinar on systems and processes for post B.
I won’t have a freebie for EVERY post, so in that case I’d love to know how to add a freebie to the home page/pages or posts which do not contain a specific freebie that notifies that if they subscribe they will gain access to the library of resources available. On that note, anyone who signs up for the one freebie should also have access to this free resource library. I want to notify them of that In the email sent to them with the link to their specific free resource. Also please let me know, do I need the mailchimp enabled in wordpress for this to work? No one I’ve asked has given me a straight answer. If so I will need to upgrade my wordpress.com account to the business plan to allow access to plugins. Unfortunately, this is almost impossible to do with MailChimp unless you use a plugin like Easy Content Upgrades (affiliate link). 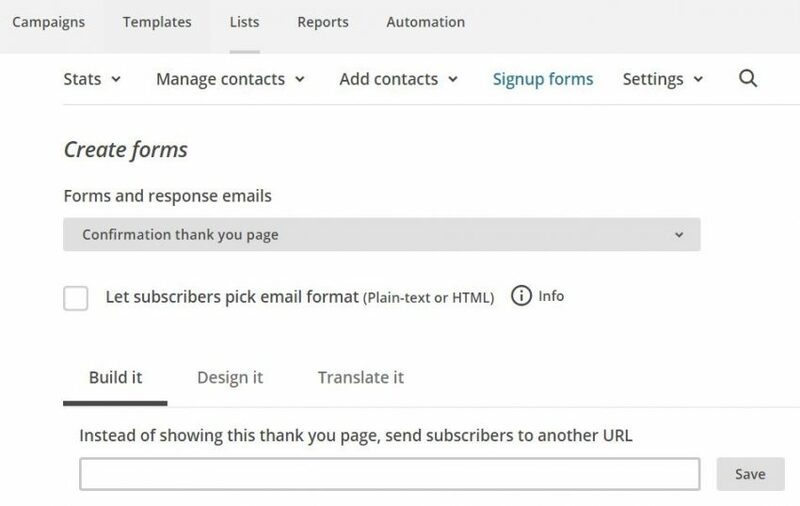 You could use MailChimp signup forms tied to specific groups but that would only work to give new subscribers a specific freebie–existing subscribers would get an error on form submission. Another option is to use an email service provider like MailerLite or ConvertKit, because both of them tie content upgrades to each form. Also, please be sure to learn about GDPR regulations and determine how they influence your content upgrade strategy. This was so helpful to me. Thank you!! Thanks for this site to help us all. I was able to get the free download thing going, but only on an embedded form that I have placed on my Wix site. The only problem is a “continue to our website” button on the response page after they sign up. This button then loads my site in that popup, which is basically now my site loaded in a smaller window on my site. Do you know of a way to get rid of that automatic button? I rummaged through all the comments to see if there was a way to avoid putting re-subscribers through the hassle of updating preferences, which I have found confuses them. and would like to share my solution after many hours of brain-bulging!. This applies to a specific campaign when a free book download is offered to all subscribers and is also shared on social media in the hope of gaining new subscribers. I targeted the email campaign to my main list, linked this to a landing page with the sign-up form. The sign-up form triggered an automatic welcome email, as you suggested, but this must be linked to a NEW list created for this specific purpose and must have the download file in it. In this way, everyone receives their book easily. Later, when the campaign is over, it is easy to send the contacts on the NEW list to your main list, and any duplicates are automatically updated. I hope this helps. 1) I already have some subscribers on my list (in my case, applications for a book launch, via Form #1), and I also want them to be able to receive the bonus content after the launch (a free audio book, via Form #2). I could just send out a separate mailing to all current subscribers, as pointed out here, in which case they would sidestep Form #2 altogether. But not all book launch guests will want the free audio book. Is there a way to have those who do want the audio book re-submit their info in Form #2, and then update their registration using MailChip groups or segments? 2) Are the reasons to prefer a MailChip Automation email over the regular subscription confirmation email when supplying the link to bonus content? I obviously don’t proofread. 😉 Sorry about the typo. Thank you so much for this helpuful tutorial. Lot of great information, am I still working on my mailchimp settings and embedded form. Hi thanks for the info i have the opt in email ready but i don’t know how to add the actual “sign up for this freebie” to the blog post. I seem to be able to only place a general mail chimp ‘Subscribe’ to the sidebar (i’m using WordPress) am i missing something? Awesome article, Gretchen! So if we send the freebie through Automation, does that make it possible for them to get the freebie without actually signing up/confirming their subscription? I’d like them to receive the freebie right after they confirm. Which method should I use to be sure of that? Brilliant guide! Thank you very much for taking the time to help people solve this problem. Thanks for sharing! Going to try this now. Im trying to add a free opt in printable on one of my blog posts. Im hoping it doesnt change my subscribe box on the side of my blog. Id like to offer opt ins on a few differnent posts. Any tips would be great! I want to give you a big hug. Settled for a coffee. Thanks so much for this. Thank you so much for this post! I was looking desperately for something like this. Somehow it is not shown in MailChimp-Tutorials so thoroughly as you did it in such a great way! Thanks a lot again! Hi! thanks for sharing your tips! I would like to create individual opt in forms on blog posts in exchange for free printables. Can you help me? What email service provider do you use, Natashia? I have a free Mail chimp account and in my account there nothing like automation or anything that would allow me add downloadable things. They’ve removed the item “Automations” at the top and hidden it under “Campaigns” now. Go to create a new campaign and search for “Welcome” and use their campaign template for the welcome campaign. Hi Gretchen. Im still confused by one thing. What if, in the future, I want to send a different freebie, what do I have to do without losing the link to the current freebie im giving? If you want to give a different freebie, you’d just add both links to the automation email. Or, you could have two automations, one for each freebie, and send them out based on additions to a list group instead of addition to the list itself. Thank you so much for the helpful info. This is where I went first to get started on this project. I’ve created a “signup, get free ebook” incentive to grow my email list that, once the signup process is completed, triggers an automated Mailchimp-generated email with a link to the freebie. But I don’t know if the automated email is triggered only by the popup form I’ve created for my WordPress website, or if it’s also triggered by my post on social media advertising the giveaway and including the signup form. Or is it triggered by both? 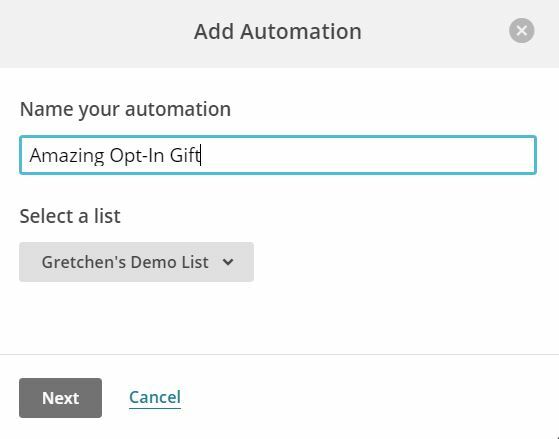 Depending on your settings, your MailChimp automation should be triggered by any new signup to the list–not just by signup on a specific form. Does that make sense? Yes, that does make sense. Thank you again! Wow! Great Post thank you. I made the mistake of using the final email option. Thanks for the step by step guide! I just completed my freebie and linked it to my MailChimp and it was a success! Woohoo! My site http://leveretcroft.com offers multiple free pdf downloads. Should I create separate lists for each download or use groups? I would recommend using Groups and MailChimp’s Automations feature. Your blog was very helpful. I have been searching about how to get people to subscribe before they download pdfs from my own site. I have assumed people will not want to pay for my journals so I have been offering the whole thing, but would like to know who is downloading what. I have mail chimp and assumed it would be possible, but until now had found advice using 3 plugins (email before download, connect 7 and WordPress download manager. I’ll try your method today. OK you are WONDERFUL! Thank you for putting this together. Great help. You are an angel. I have been trying for days to accomplish this feat and I found you! Thank you for being here for us tech idiots!!! My freebie is just a packing list but I’m going to start doing more exciting stuff now 🙂 I would love to know how to hide the subscribe form behind a cute button. Can’t figure that one out! 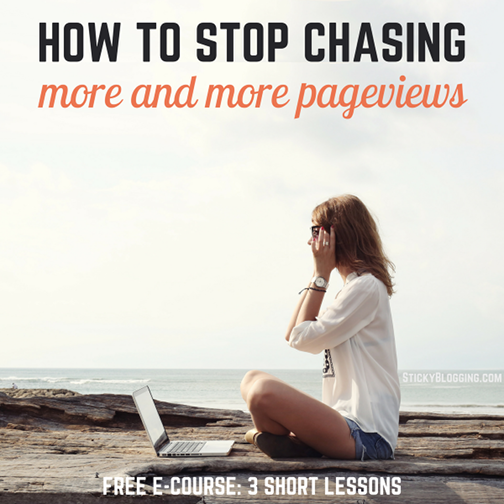 Definitely sharing this with other newbie bloggers. This was a breath of fresh air after begging Thrive Content Builder (landing page plugin to my WP site) for days to help me figure this out. When I test it, my “Click here for your freebie” button still doesn’t result in an email to my in-box with the mailchimp confirmation thank you page I created. Ready to pull my hair out! I’ve connected mailchimp to my Thrive Landing page as directed, so I’m stumped. Hello Katy, if you’re using Thrive Leads, you might need to set the custom redirect URL when you click “Connect to Service”–Thrive doesn’t always use the redirect URL set in MailChimp. Hope that helps! Is the box promoting your guide for “The tech side of your blog doesn’t have to keep you from writing.” the result of the tutorial shown in this post? That box was created using Thrive Leads, and points to my ConvertKit email sequence with my freebie. Hi Gretchen, thanks so much for this great info!! I read through the comments but didn’t see an answer (if it’s even possible) to change the text on the CTA button in the first email. It says “Yes, subscribe me to this list”. I would like it to read” Yes, send me the free download” Any suggestions you have would be helpful. Hello Amie! Unfortunately, I have yet to find a way to edit the text of the CTA buttons in the MailChimp emails. I’m sorry! Once again, thank you for this much helpful tutorial. I would appreciate if you would explain how to embed the general sign up form into the web site, or do the same customization with the embedded sing up form. Thank you, thank you, thank you! For being so detailed and precise in your explanations. You are my new discovery! I’ve read many posts on this topic and find yours is the easiest to follow. Thank you for putting it together. The only thing I’m struggling with is incorporating the embed code from MailChimp to WordPress. MailChimp’s Embedded Form is not cooperating with Enfold, the WordPress theme I’m using. The fields appear on the page but the button does not. input type="submit" value="Subscribe" name="subscribe" id="mc-embedded-subscribe" class="button"
And then remove the opening and closing div tags from around it. Oh great! Thank you for getting back to me. Have a great week! HI. I am just about to launch my website so i do not yet have any subscribers. I wanted to use a free download to entice readers to subscribe from the start. I have just signed up to mail chimp and have tried to follow your instructions above. However i have nothing in my lists? Can I use this if I don’t yet have subscribers? Tia, you can set up your Final Welcome Email before anyone subscribes so that it is in place when they do. Thank you! I am trying to write my blog posts in advance. I want to advertise the opt-in in a post that is scheduled to be published in a couple of weeks. Can I schedule the campaign to release at a specific time or with a specific post or once it’s created will it become a part of my blog’s sign up right away? I just don’t want it to be available before the post that I am creating it for. On the other hand, I’d prefer to set it up right now for the future – before I lose your instructions! Heidi, once you set up your MailChimp Final Welcome Email, it will apply to everyone who signs up from that point on. Hope that helps! I love this step by step explanation! I see its from 2014, does it still work like this? I’m halfway making a freebie so I was googling about how to automatically email it to subscribers, and found the answer. So thank you again! It does indeed work exactly the same way, Nanouk! Woohoo!! That was SO painless. Thank yo very much, you just saved me. Great post! I’m trying this in a bit. I was just wondering about the legal considerations concerning this approach. When you offer a free download (after asking for a Name and email address), do you automatically have an explicit optin? I mean, if you don’t say something like ‘Subscribe to our newsletter and get a this free ebook’, you don’t really have asked your subscriber for an optin, right? Peter, you definitely want to be clear–in both the signup form and confirmation email–that in clicking the download/confirm/subscribe button they are subscribing to your list. HI Gretchen, I’ve created a lovely ebook in Canva but its a big file and I can’t upload it….its only a three page file and i’ve noted others emails they’ve included much bigger ebooks with no issues. is there any way around this?? Are you able to save your ebook as a PDF file? That should help the file size. If even then it is very large, try searching for a PDF compression service online (there are many free ones) and see if that reduces the file size without lowering quality. I was getting ready to pull my hair out until I found this. Thanks for making this simple and straightforward. I had done this before, but I couldn’t remember how (plus, pregnancy brain is really catching up with me). With your help I was able to offer my free e-book on my blog (http://www.theladyinread.com/resources/free-e-book/). Thanks so much! This was super simple. I downloaded 2 separate plugins before realizing…wait this isn’t what I want! Not only did I already have MailChimp but it took me 1 search to find this! Thanks Gretchen. Exactly what I needed. Thanks!! These directions were super easy to follow. Thank you so much! I was at a loss and almost spent money on trying to get my freebie out there. I decided to make a 2017 Monthly Calendar for my blog. I can’t wait for the first download! Fantastic website, and great & easy content. I highly appreciate your tutorials and advices. Best wishes for you Gretchen, and thank you. This was SO unbelievably helpful! Thank you so much for sharing such valuable content! Thank you! This has been so useful. Sharing on Pinterest. Hi Gretchen! I have everything set up but I’m wondering about those who want the freebie (A weekly cleaning schedule) but are already subscribers? I guess they could reenter their email address but I hate for them to have to go through those steps again. Is there any easier way? Unfortunately, with a free MailChimp account, there’s not a better way too give the freebie to existing subscribers without them unsubscribing and re-subscribing–or, of course, you emailing the freebie to everyone currently on your list. That’s the power of ConvertKit: it allows you to keep giving new content upgrades, even to your existing subscribers. You can also use Automations with a paid MailChimp account. Okay this is sort of a pain, but here’s what you can do. You can ask your subscribers to put in their email again. They don’t have to unsubscribe, they can put in the same email address. When they put in the same email address in the subscription form, it will send them another email. In that email (which you can’t edit) there will be a link for them to click to “update your preferences.” THAT page (which you can find in the drop-down menus as described above – “update profile” > “update profile form”) can be edited, and you can add the link to your download there. Still a lot of steps. But doable. I’m trying it out on my blog. Great suggestion, Aprille! Thank you so much. Thanks so much for this brilliant article, Grethcen. I am giving away an audioworkshop that is rather large (27 MB). And that is too large for Mailchimp, which I use. Do you know how I can send a file of this size or where I can host it so it is not visible to the public? I am currently using soundcloud as a temporary solution. Birgitte, I’d recommending using a DropBox or Google Drive link for a file that large. Hope that helps! Thank you so much for your help. I’m not very “techy” so I appreciate all the help I can get! Followed your steps and it worked; thank you for sharing the knowledge! I’m wondering though, if at some point we want to offer a different freebie download, we wouldn’t have to go through the entire steps again, would we? We’d just change the link to another PDF instead; right? That’s correct, Judy! You can just update the PDF link. Fabulous ! Tks so mach ! Thank you so much for explaining this in easy to understand terms! I was having such a hard time trying to figure this out on my own. Super helpful post thank you again! Thanks! This was SO very helpful. I run a podcast and blog to promote family interaction and parent education, and my download is a “Developmental Activity Reminders” Checklist for families with infants and toddlers. I’m so happy to finally put it in my subscribers’ hands, simply and seamlessly! This is an amazing article, just looking for a place to upload a free ebook, I’m using GetRespond, they should probably allow their customer to upload from there. Excelent article. But the problem happens when the “new” subscribe person is already at the list and even that, he found the “landing page” and wants to download the eBook for first time…. Do you know how to solve it? Yes. Therein lies the problem. That is where ConvertKit comes in really, really handy. Or else a paid MailChimp account so you can use Automations. Thanks so much for this article. I had been searching online for a straight forward explanation for this and was so confused until I found this site. Just two questions. So after following this steps is it correct to say that right now new subscribers (whether it is through this opt in or my Facebook sign up button or my newsletter sign up button on the sidebar) will be able to download my free printable? Do I need to go change the link to my free printable in the sign up form if I add another new free printable at a later stage? Is it possible to keep this one active and then also add another one at a later stage? Yes, upon implementation of these steps, any new subscribers to your list will get the freebie in the automation or final welcome email. If you want to add another new freebie at a later stage, you can add additional links in the automation or final welcome email. Basically, the automation or final welcome email can be the home to anything–any number of links or downloads–you’d want to share with new subscribers. Phew. This is great advice, thanks Gretchen. I tend to find the tech side of things so intimidating, so it’s great to have such a thorough guide. If you’re adding the link to the Final Welcome Email as shown in the screenshots, it won’t show on any of the other pages or emails. You want it in the Final Welcome Email, not the Confirmation options. This is a very helping post. Can you tell me, how can I allow my subscribers to download a pdf file directly without sending them via email. Hope you understand. I’m waiting anxiously for your reply. For that, you’d just add the link to the confirmation page, rather than the final welcome email. Great Job! Thanks for posting. My freebie is best practices for keeping your computer network secure. Hi – all good, freebie in email, download it – but can’t save/print it on/from my phone? Any ideas? Is the freebie a PDF? If so, I’d check to make sure your phone has a PDF viewer. If you’re able to download, it sounds more like an issue with the file or the phone, rather than the way MailChimp is offering it. Sorted it I think – I was trying to open it in a yahoo app but that doesn’t have a print option. Other email accounts I sent it too work fine I.e aol and outlook. I was able to email to my other email from the yahoo app on my phone then print it from there ? I haven’t tried uploading an MP3 file to MailChimp. But if for some reason it didn’t work, I’d just use DropBox. Does this work for specific freebies that are linked to specifically articles? I would love to read that tutorial! Thanks for the easy to read, step-by-step, you’re amazing! If I’m understanding you correctly, you have different freebies mentioned in different articles. This would work if you listed all the freebies in the same welcome email and they weren’t yet subscribed to your list at all. However, if they are already subscribed to your list, they won’t get the welcome email again on another post. For that, you’d need (affiliate links) OptinMonster along with MailChimp, or ConvertKit on its own. Super helpful. I have been wondering how to offer a download for my MailChimp subscribers for eons. Thank you! Brilliant. Thanks for this guide, it worked perfectly first time round. And I’ve finally got round to adding mine after about 6 months from deciding to do one. Good for you! Thanks for letting me know that it worked for you. Thank you so much for this tutorial! I am planning on giving away my first ever freebie, since I launched by blog recently. I had no idea it was so easy, I was expecting it to be quite difficult to do. I feel so relieved now, can’t wait for Saturday when I sit down and launch new post with a freebie. Is there a way to have a link automatically download the file instead of opening it? I am sending a pdf file to selected subscribers or my entire list but when I insert the link it just opens the file. I am afraid that when people see it start opening (2.69MB file) they will feel that it is taking too long and just back out of it. However, if they can download it and open it later, I feel that would be more appealing. How do we do this? There is if you use DropBox to host your file! Just replace the “www” with “dl” and it should automatically download, instead of opening. Wow, thanks for that tip. I didn’t ask the question, but I was certainly going to! 🙂 This is a really helpful tutorial that, now that I’m in the site design phase, answers a big question I’ve been pondering for months. This was super helpful, thank you. I’d looked everywhere for advice on how to upload a file directly to Mailchimp before I came here. Thanks to you, I got it in one! This is really easy and helpful article. 1- Simple subscription form- where User can subscribe himself to my newsletter. It is working fine. I created “embedded form” and apply the code in my Html file. 2- I have another pop up where I have two books and two buttons in both book’s articles (“download sample” button and “buy now” button). I want that if the user clicks on a particular “DOWNLOAD SAMPLE” button. He must subscribe himself first to the Newsletter. And if he subscribed successfully I want to show a link to download a sample pdf book. As I think that I need three “thank you page” which I need to handle. One for simple Thank you confirmation without any link, Second with the link for first-book sample and the last one with the link for the second-book sample. Please help me how can I get this thing done with the MailChimp. Was breaking my head how to get it done. Thanks for the very clear instructions. Hopefully, I’ve got it. Am trying it out. Thank you so much for this tutorial! I’ve been wanting to offer a freebie for so long to my growing list. This is truly invaluable to me. I’ve included this post in my saved resources to share with others who are looking for the same kind of information. Really, I am grateful to you! Thanks so much for your description. Your blog post is way more clear than how it is explained on the Mailchimp help form. You are right I thought I would have get a paid Mailchimp account in order to do a file give away. Hi Gretchen, I’m hoping you can help me. I’m not sure how old this article is, but I’m having trouble following your instructions on using Mailchimp to send files to my newsletter list. I already have one set up. But when I click on Lists, nothing comes up. There is no “Signup forms” option anywhere. I’ve googled every article I could find on the subject, and all of you say the same thing. I have a free account. Is it possible that they have removed the option to do this unless you have a paid account? Thanks. Hello Rebecca, it’s the same in both paid and free accounts. Once you click on Lists, then you must click on your list name (see step 1). And only then will you see “Signup forms”. Hope that helps! This was so simple and helpful! Thank you SO MUCH!! I have been dreading and putting off doing this for months because I thought it would be difficult and frustrating. I did exactly what you said and it worked great! I’m so excited. Thank you! Thank you! Thank you! Thanks for the info. My questions is the exact same as Amy’s. Unfortunately all I have been able to find is exactly what you wrote in response to her questions in regards to how to make new files/resources available to current subscribers. Is this a flaw with Mail Chimp? I know there are tons of websites out there in which I have been able to go back and re-enter my email address to get an ebook that I forgot to save in the past. I never get an error, it just goes thru the validation process. I don’t subscribe to a new list, it simply takes me to the download page. Would another services such as Aweber handle this? I believe plugins like Lead Pages and perhaps Optimize Press handle this well. If you used Mad Mimi, you’d be adding the person to a new list in order for them to get the drip that had the freebie in it. Same thing with MailChimp. I’ve heard a bit about a new service called ConvertKit but I haven’t tried it out. It might be something to look into (but it doesn’t have a free option). Sorry not to be of more help! I thought I had to be a paying Mailchimp customer to be able to do this. Hello Gretchen, thankyou for sharing the sep by step instructions. I followed your steps, but in the final welcome mail a link to the audio file is displayed. When I click on the link the file just opens and unable to download it. I would recommend using Dropbox if there are issues with downloading an audio file. Change the 0 at the end of your share link to a 1 to force download rather than Dropbox display. Thank you so much for this tutorial! I used it to set up a free printable for my newsletter and appreciate the step by step direction! Thanks so much for this tutorial. Because you took the time to create it, I am now able to provide my email subscribers with free art print. Yay!! Hi Gretchen, great simple instructions thanks! I did everything that you said but when I linked the file to the ‘download your freebie here’ text, it placed another long link at the top of my message. When I tested the emails by opting in, my ‘download your freebie’ text does nothing, but this other line of nonsense letters/numbers is the working link to my file. Do you know how to rectify this? I just did the same. For some reason its creating a new link and placing it in your message rather than, creating the actual hyperlink with its own url . Trying to find a work around. May have to contact Mailchimp. I’m so sorry. This works consistently for me each time I update my welcome message! @AwesomelyOZ, I didn’t see your question about already subscribed users, so I’m not sure if I’m asking the same question. I already have a number of subscribers, and given that I’ll be adding the free download PDF to my site today, I’m wondering how these existing subscribers would be able to get the free download. For existing subscribers to get your freebie, you’ll need to send a manual campaign to them with the link to the freebie download. Only new subscribers will get the final welcome email. Hope that helps! Great. Thanks for the quick reply! I’m not quite sure what you mean, Catherine. You need to add a subscription form to your website, or at the very least, a link to the MailChimp subscription page. But the directions will vary greatly depending on platform. Hi Gretchen thanks for the amazing advice! you’re very clear and concise. 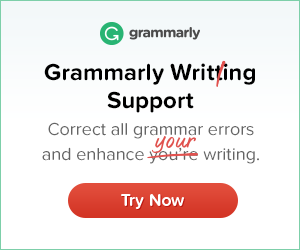 #1: I’ve set everything up in mailchimp but how do I actually see/copy the link? As I’ll be attaching it my logo on my website so people will just click on the logo and be directed to that opt in/sign up form through mailchimp. Also can’t figure out how to email it to myself to see if it looks good or not? #2 I have a wordpress site and I had previously contacted wordpress and they said that for security reasons wordpress doesn’t allow mailchimp. So what they said that I would have to create a widget on the MailChimp site. Then, take a screenshot image of the widget. Afterwards, you can add the image to your sidebar in an Image Widget and link it to your MailChimp signup page. Obviously I don’t know how to do this part. Any input would be much appreciated! #1 Go to Signup Forms, General Forms, and copy the Signup form URL. #2 It sounds like you’re using WordPress.com, so you’ll have to do exactly what they say. Use an image with text like “sign up!” and link that to your signup form (you can’t embed your signup form on WordPress.com). See step #4: you need to add the link with free download to your Confirmation Thank You Page or Final Welcome Email. Thank you SO VERY MUCH for this tutorial! It’s people like you that make creating enjoyable! Gretchen, Thank you so much a lady drove me to this blog and I think it helped me a lot… Love your blog… This will help me in future… But I want to give away a series of emails to my subscribers… Is there a way or should I develop it to a PDF to do this…. Thanks for this! I thought I knew how to do it, but this cleared up all the questions I had! Thank you so very kindly for this free tutorial! Thanks so much! I’m launching my first subscriber only freebie next week! It’s a printable Safari pack for preschoolers! This tutorial was so helpful as I’m very new to Mailchimp. Gretchen, I have to say this information came to me at just the right time! In fact, I had an idea for a free download but had no idea about what I needed to do to get that information out to my subscribers. You not only opened my eyes but also gave precise instructions on how to do it – and for FREE! Thank you so much for your well-written instructions! Gretchen – just found your site via a friend, and I’m in love. Thanks for making code cool (and comprehensible) and sharing words of wisdom. I was researching how to offer downloads to subscribers last week, so this is a very timely post for me. Question: I want to offer files to new subscribers, but I also want to make the files available to current subscribers. How should I do that? I use WordPress and MailChimp. Thanks, Gretchen! 1. Send out an email to all your current subscribers with the file download link. 2. Add the file download link to all your campaigns so that the next time your subscribers get an email from you, they’ll find the free download. Gotcha. I subscribed to your site so I could go through the process firsthand. I see that the file link is at MailChimp, not my website. Next question: any tips for encouraging my existing subscribers to share the free download offer? They are the easiest people for me to reach, especially since FB hides everything. You’ve saved me a ton of time and thought particles, thanks so much! Is your opt-in freebie ready to share with your subscribers? 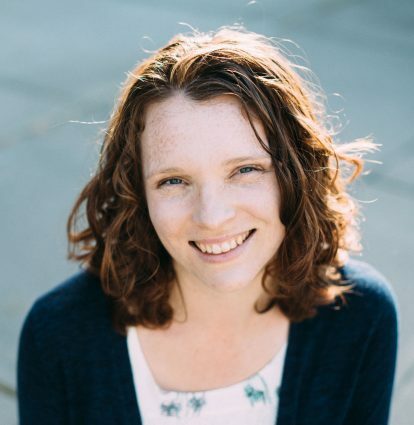 Gretchen is knowledgeable, patient and dedicated to helping my blog work as smoothly as possible; she’s my only choice for support. If you want to say thanks for the tutorials you find helpful, I always welcome an addition to my coffee fund. From the beginning, Gretchen was very patient with me and knew exactly what to do to update my site.